AUDEZE are one of the better headphone makers around, and the EL-8 Titanium is their attempt to create a pair of planar magnetic cans that can operate off an iPhone. Since most of their other cans require an amp to work well, this is quite an ambitious task. In this review, we break down the EL-8 Titanium’s sound, design, comfort and fit, packaging and accessories, specs and more, as well as how they compare to other models. To see alternatives, read our list of the best high-end headphones. Before we begin, a quick caveat. The AUDEZE EL-8 Titaniums are quite old now, and although they haven’t been discontinued, they can be very hard to find new. We’ve updated this review to a new format since its initial publication, and we stand by our analysis, but it’s worth bearing in mind that there are newer, better headphones available now. We will mention some of these below. There are two aspects to consider here: how the EL-8 Titaniums sound when using the supplied Lightning connector, and how they sound with the regular cable. As Android owners, the regular cable is how we did the bulk of our listening. But Audeze include a second cable with a Lightning connector and a hefty in-line control unit, designed for use with Apple products. It’s called the CIPHER cable, and it contains an amp and an onboard DAC for better signal processing. These are designed to bypass Apple’s stingy internal audio circuitry, and deliver a better experience. We got a chance to test out the CIPHER cable extensively, and it was clear from the start that there was no problem getting a generously loud signal. The amp and DAC on the cable combine to give a sharp, quick response, enhancing the character of the headphones. While we still prefer running these off a separate amplifier, we had absolutely no complaints about their performance with our iPhone. If you do own that type of phone, these are, by far, the best compatible headphones available. No question. There wasn’t a significant difference in audio quality between the CIPHER cable and the regular one. The former delivered audio that was just a touch sharper, but it wasn’t dramatic. However, there’s definitely an issue with power on Android phones. One thing these headphones couldn’t do was get themselves to a satisfactory level on an Android. Not without pumping the volume way up. At 30 ohms, they’re moderately difficult to drive, and our OnePlus 2 smartphone sometimes struggled with them. This honestly wasn’t a problem when we were driving them through an amp stack (when, for the record, they absolutely sung) but anyone using Android phones need to beware. It's definitely not a problem more modern (and, we think, better) AUDEZE headphones have; their LCD2C headphones (full review here) ran off a smartphone just fine. And they cost the same as the EL-8 Titaniums did upon release - $799. Several sites have criticised the EL-8s for having what they call flat, unexciting and un-distinctive sound; we think that’s a little unfair. While they don’t have the breadth or detail of more powerful open-back headphones, these are still put together by one of the premier manufacturers on the market, and it really shows. The main takeaway we got from these was of a controlled, balanced audio landscape, with articulation that took our breath away. The sound felt like it had real weight to it, and even when we weren’t driving it through our preferred headphone amp, it was a genuine pleasure to listen to. We particularly liked the level of crisp detail in the highs: the vocals were so good that, on softer songs, we could hear every single breath, every tiny movement of the singer’s mouth. The soundstage and placing was excellent, too, giving a real sense of depth to the proceedings. Things are also helped along with the excellent Audeze iOS app, which help you customise the sound even more, thanks to a versatile and helpful equaliser. You can save presets, as well, which is tremendously handy. And call quality was just fine, with voices clear and sharp. Although, we expected nothing less with this level of technology. One area which surprised us a little, and not in a good way, was that the bass wasn’t as powerful as it should be. As a rule, larger drivers tend to provide deeper bass (although this is by no means hard and fast). The 100mm drivers should, in theory, have provided much more exciting bass than that that was on offer. It wasn’t bad, by any means – it had the same detail and complexity as other parts of the frequency spectrum. But we expected a little bit more, especially for the amount of money these cost. There are plenty of other headphones that deliver much better bass at a lower price, including the AudioQuest NightHawk Carbon (full review here). It’s also worth noting that the EL-8s have non-Lightning-equipped closed-back and open-back versions of the EL-8s, at around $100 cheaper. The headphone cups are giant ovals, 5” high, 4” wide and a good 2.5” deep - each housing an oversized 100mm driver. At just over a pound, they’re heavy, too. And when the cup hinges rotate (which they do - a full 180°), it quickly becomes apparent that wearing them around your neck is awkward – to the point where it feels like they’re strangling you. Even the thought of taking these things on a commute is enough to give us the heebie-jeebies. However, simply because they aren’t suited to portable use doesn’t mean that the design isn’t good - and given that it was masterminded by the BMW company DesignWorksUSA, it should be. Listen to them in a static position, seated at a desk, for example, and it all makes sense. For one thing, the construction is absolutely superb. These headphones don’t have the name Titanium for nothing, and the all-metal cup housing looks and feels fantastic. The inner cups are soft, flexible leather, and they feel great. The hinges are plastic, but they feel solid, and work extremely well. The top part of the headband has a leather spacer, which helps increase comfort while you’re wearing them. Each cup has a separate headphone cord connector. Branding and markings are clear as well, with obvious left and right indicators, and simple text branding on either hinge. Regardless of their size, this is a very well-designed pair of headphones, that looks and feels premium. They’re a very good bridge between higher end models like the LCD-3 and LCD-4, and entry-level on-ears like the AUDEZE Sine. We’ve linked that model to its Amazon listing, in case you’re interested – at $449, it’s not only cheaper than the EL8s, but also manages to be formal portable. And herein lies the biggest problem for these cans: as well-designed as they are, we don’t quite see where they fit into the headphone ecosystem. If you really do want a pair of portable planar magnetics, then the Sines would be your first port of call. They don’t quite have the gravitas or the audio capabilities of the EL-8 Titaniums, but if you’re looking for a good pair of Lightning-ready headphones that are also easy to tote around, then they are option No. 1. And if you aren’t particularly interested in Lightning, or don’t own an iPhone, then the cheaper EL-8 versions mentioned above would be the ones to go for - they do the same job, without expecting you to lug them around. It’s a real problem. These certainly aren’t going to be for everyone - especially those not used to such large headphones - but there’s no question that they do a stellar job when it comes to comfort and fit. Given how big and bulky most of Audeze’s cans are, it’s good to know that they put such a premium on those two things. No problems here. One of the first things you notice when you don these cans is that they’re snug. There’s a pleasing tension to the headband, and while they are certainly heavy, they don’t feel obtrusive or obnoxious on top of your head. If anything, we were surprised at just how slim they felt, even though one look in the mirror confirmed that we resembled Princess Leia in her younger days (our friends later confirmed this, to endless hilarity). The clamping pressure could have been a real problem, but it is offset by the genuinely fantastic cups. The squashy leather feels magnificent, and the shape feels well-designed, not pinching the ear or getting in the way. Even after lengthy listening sessions, we never had an issue with comfort. Extending the headphone cups wasn’t a problem, either, despite the headband extenders feeling a tiny bit stiff, and the leather spacer at the top of the band made a real difference. Had it not been there, this might have been a much more negative review. In a strange way, these reminded us a little of the Sennheiser HD800s, which had a similar fit and feel – although for the record, we much prefer the design of the EL-8s. The Sennheisers sound fantastic, but look like something out of X-Men. They are also vastly more expensive than even the EL-8 Titaniums were at launch, at upwards of $1,000. Slide the headphone container out of its outer packaging, and what you have is a sleek, chic box with the Audeze logo on the top. While it’s surprisingly difficult to open this up, as you have to shake it a couple of times to get the bottom half of the box to slide out, it’s immediately clear that the headphones are nicely presented. They’re couched in a foam insert with clever handles on each side, allowing you to lift it right up. Underneath is a separate box containing the manuals and cables. It ticks all the boxes (pun intended) for presentation of premium headphones, although it’s nothing to write home about. Given that these are high-end cans, the accessories are surprisingly spartan. You get two cables - a 6’6” one without an in-line mic, and with a standard 3.5mm connector, and the Lightning-equipped CIPHER cable, which is a couple of feet shorter at 4’1”. As with most headphones in this price range, you get a regular 3.5mm-to-6.3mm connector, which is helpful when you’re attaching it to an external amp. Beyond that? Nothing too revolutionary. It’s a shame that Audeze didn’t include a case for these, or even a cloth carry bag. For the amount of money they cost, we expected to have some means of toting them around. Given how they are, after all, designed to be portable, the lack of a travel case is a serious oversight (although you can buy a spare one here). You do, however, get a certificate of authenticity, which is a nice touch. Not enough to make up for the lack of a case, but still. The AUDEZE EL-8 Titaniums maintain the company’s reputation for excellent sound. The design of these headphones is very good indeed, and they are comfortable to wear for long periods. ​We really like the CIPHER cable for iPhones, and the app is superb. The EL-8s have no clear purpose, especially given the presence of cheaper models that do the same thing. Despite the excellent sound, the low-end is underwhelming. ​These were quite pricey on their release, and you are unlikely to find new versions available at a reasonable price now. Audeze EL-8 Titanium $799 1lb 100mm 30Ω 1 x 6'6", 1 x 4'1"
OPPO PM-3 $399 11.3oz 56mm 26Ω 1 x 9'10", 1 x 3'11"
B&W P7 Wireless $335 11.4oz 40mm 22Ω 1 x 4'5"
Philips Fidelio M2L $99 6.9oz 40mm 16Ω 1 x 4'1"
Audeze LCD2C $799 1.1lb 106mm 70Ω 1 x 6'2"
If you can do without the detail and character that planar magnetic drivers bring, these are absolutely one of the finest pairs of headphones around today: the Bowers & Wilkins P7 Wireless. They are wireless, making them ideal for mobile operation without needing to worry about cable. The sound is out of this world, with a sonic character that bends over backwards to please. They are svelte, light, sturdy, and beautifully designed. We are having a huge amount of fun with them, and they are a genuine alternative to the EL-8s - and if you can afford to spend some more money, there’s a premium version, the P9, geared specifically to the iPhone. Looking for a similarly high-end pair of cans? Like the idea of clean, capable sound? Feel like having a go at open backs? Then you need the OPPO PM-3. These headphones, from the manufacturer better known for their Blu-ray players, do a great job of conveying the premium quality and luxurious nature of decent cans. The sound is, as we mentioned, beautifully clear and straightforward, and while these aren’t super exciting, they do the job incredibly well. They are also cheaper than the EL-8s, at $399 for a pair. You don’t need to spend huge amounts of money to get a Lightning-ready pair of headphones. Philips was among the first of the big names to rush out a compatible pair; well, rush out is perhaps a bit pejorative. Their Fidelio M2L headphones are solid. They come with their own integrated DAC and amp, and although the exclusivity of the connector means they’re not appropriate for anybody without an iPhone 7, they do an excellent job in terms of both audio and comfort. Weirdly, they have no internal microphone, making calls a challenge. Still, a viable alternative. And a cheap one, at under $100, compared to $799 for the EL8s. 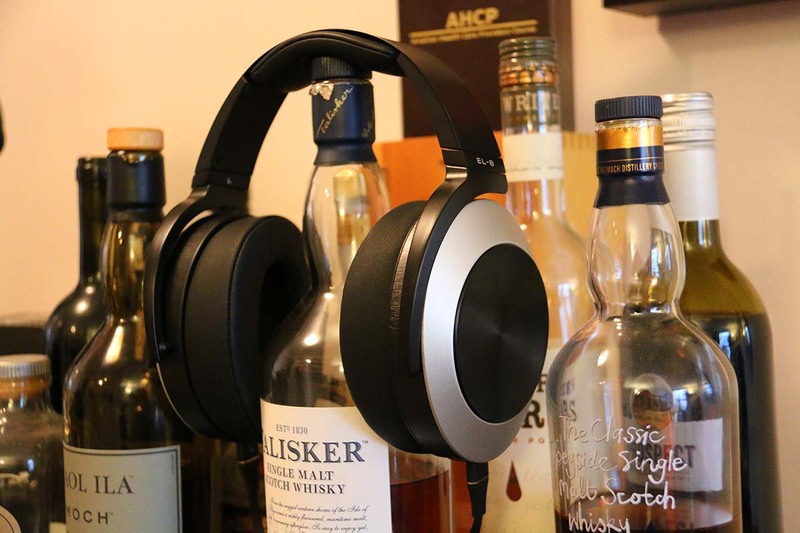 As we said at the very start, these headphones are no longer widely available (this review was first published in 2016, and has been updated with a new format and additional information since then). If you want the absolute best headphones that AUDEZE make, you could do worse than check out the LCD2C. These are a phenomenal pair of planar magnetic headphones that deliver gorgeous sound paired with stellar design. They cost around the same as a launch pair of EL-8s, at $799. We think they're worth every penny.